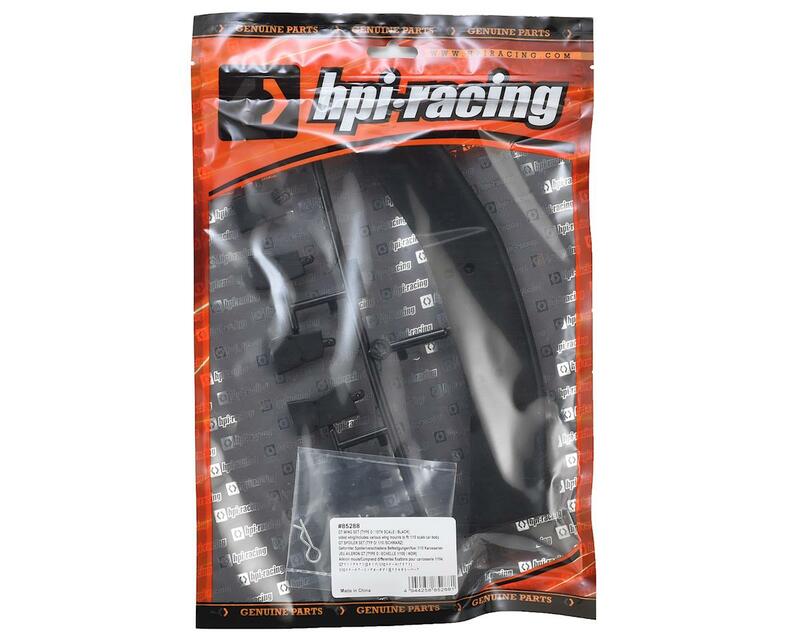 This is a replacement HPI 1/10 GT Wing Set in Black color. Check out the GT Wing Set (Type D) for drift cars and touring cars! 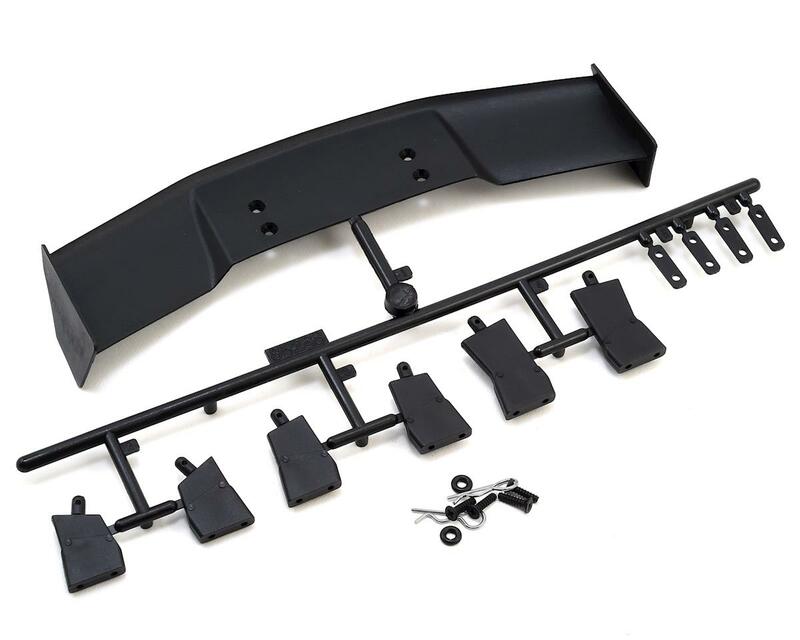 This wing set will make your car look great on the street or track! The GT Wing has an aerodynamic "3D" shape that is popular on real drift cars, and is molded from durable and lightweight black nylon. Included in the package are three different types of mounts that allow the wing angle to be adjusted to fit a wide variety of body styles, plus all of the necessary mounting hardware. Fits all 1/10 scale touring, street and drift cars!